Perfect sound. Crystal clear pictures. They’re what everyone wants from their home entertainment systems. So when interruptions, glitches and breakdowns spoil your enjoyment, you need the contact details of a company that’s ready to move fast to get things back to their best. We’re that company. Here at Maidstone Aerials & Satellites, we’ve been installing and maintaining all kinds of audio visual systems and setups for people across Maidstone and Kent for over a decade. 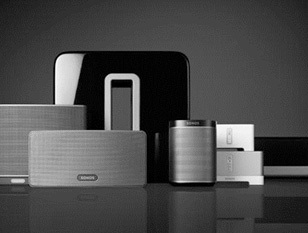 We’ve seen technology come and go, innovations raise the bar and sound and picture quality for domestic systems pretty much match the quality you’ll find at your local cinema. It’s all exciting stuff, but the wealth of options means our trusted and impartial advice, and our skill at all kinds of installations and repairs is really welcomed and valued by the people of Maidstone. 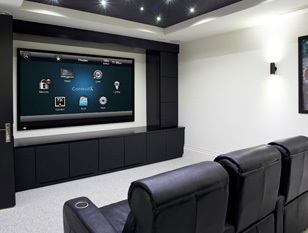 All our Technicians are audio visual experts who keep up to speed with all the latest developments and technologies. So whether you’re looking for a simple single room set up or a more complicated multi-room audio visual experience for your home or workplace, we’re the people to call. Call us in early to help with planning your set-up if you like, but definitely get us on the case when it comes to making your plans a reality. We’ve experience of installing all kinds of bespoke systems in all kinds of places across Kent. And because we’re independent, you can rely on us for impartial advice and recommendations. High quality TV and music services in multiple rooms. Test and maintain your system.